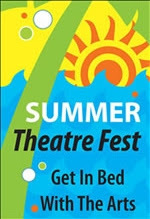 Monday, Theatre League member theatres will be hosting free readings of plays by playwrights who are League members. This coming Monday, you'll have to choose between The Death of Kings: An Encyclopedia by Vanessa Garcia at PAXMiami, or Outre Theatre's offering of Flashing Lights by Edward G. Excaliber at The Studio at Mizner Park. 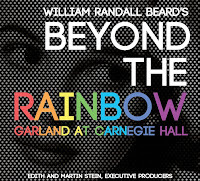 The Theatre at Arts Garage offers Beyond the Rainbow, through August 11. And for once, it's not a drag show. Palm Beach Dramaworks winds up the extended run of its concert version of Man of La Mancha this Sunday, July 28! FIU's Alternative Theater Festival offers A Thousand Years, through Saturday.
. 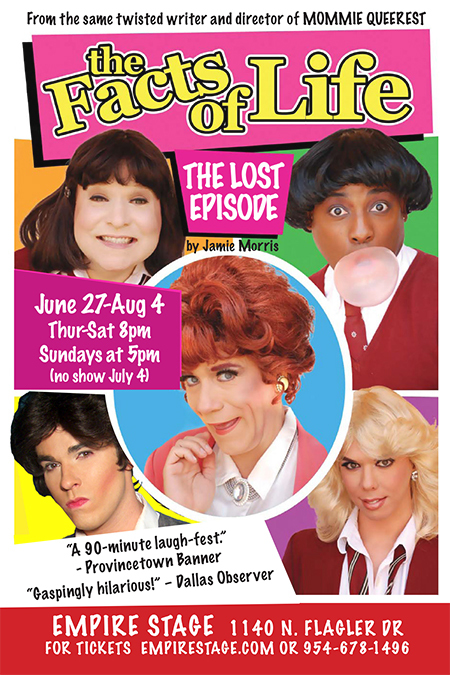 Empire Stage opened its production of The Facts of Life: The Lost Episode on June 27, 2013. Inspired the the ‘80s sitcom, Facts features an all-male cast as the girls of Eastland High. The girls’ dorm, and Mrs. Garrett’s job is in jeopardy due to the budget cuts. The evil schoolmaster wants to take everything away from them and get into Mrs. G’s pants. Blair, Tootie, Natalie and Jo will not allow this to happen, and they are willing to do anything, and I mean anything, to forbid this. The girls turn to prostitution to raise all of the money that they will need to keep their cozy dorm and Mrs. G.
Christopher Kenney directed a cast that featured Jamie Morris, David Tracy, Shawn Burgess, Brooks Braselman, and Charles Logan. "You take the good, you take the bad. . ." Those are the opening lyrics of the theme song from the long running television sitcom The Facts of Life. The NBC show did have its share of good and some bad, and so does its alter ego stage comedy The Facts of Life: The Lost Episode now playing at Empire Stage. Morris as Mrs. Garrett is just plain cheeky, with the sing-song delivery of dialogue hitting vocal octaves that are downright acrobatic. Braselman as the pleasingly plump, perpetually grinning Natalie steals the show more than once or twice playing a number of different characters... There isn't a weak link in the ensemble. Morris, Braselman and Logan have toured with the show previously, while Burgess and Tracy were cast in SoFla for the Empire Stage production. Christopher Kenney directs the show with fast pacing. It's much more effective in the episodic first act than when the story begins to get more linear in the second act. 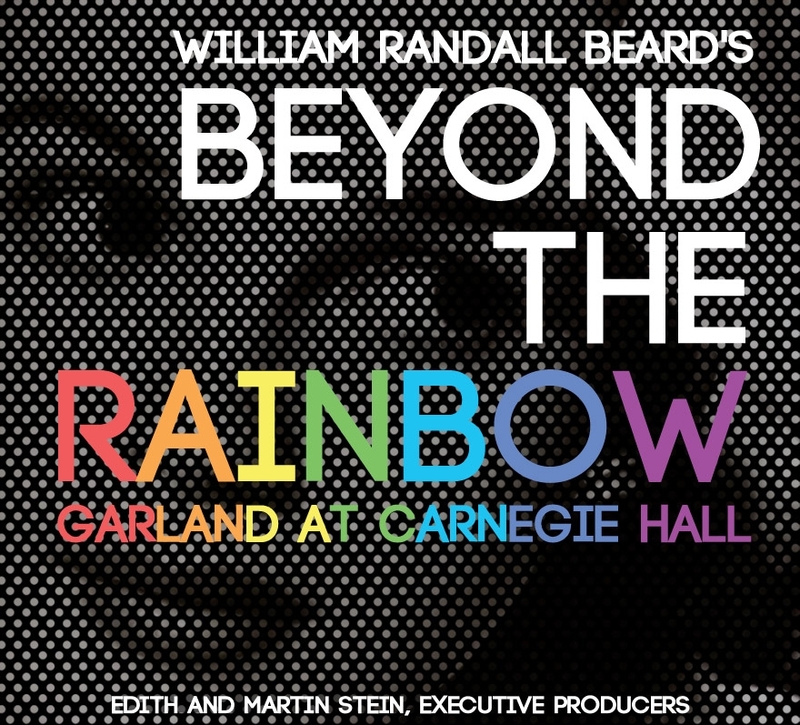 Three musical numbers with lyrics by Braselman and Morris are too similar and never really hit the same heights as the rest of the comedy. In fact, they seem like filler and interrupt the show's comic tempo. There is a place in the Western theater canon for Pinter, O'Neill, and Shakespeare, and there is also a place for shows with lines like "When I was your age, I was as moist as a Sara Lee pound cake." (Jamie Morris) takes on the plum role of Mrs. Garrett, his wig a towering, ginger bird's nest over gaudy makeup and endless pearls, a sense of trashy couture maintained by a trilling, hyperbolic vocal pattern. As Jo, Logan is perhaps the most skilled performer at channeling the wide-eyed, simple emotionality of '80s sitcom acting, and Tracy offers a more-than-capable Blair, a far cry from his history of Shakespeare festivals. Despite a game effort, Burgess may be the show's weak link as Tootie, simply because, unlike the rest of the ensemble, you can practically see the cerebral gears grinding toward his decisions. Acting rather than being, he tends to underplay when everyone around him overplays, and subsequently, many of his lines fall flat. Everything in this show cycles back to "the old in-and-out," and to the show's credit, its crudeness never gets tiring: It's funny and subversive all the way to the end. Considering that the original TV series' example of edgy humor was its Asian character, Miko, saying, "What do I know about math — I use an abacus!," a little bit of dirty talk goes a long way. 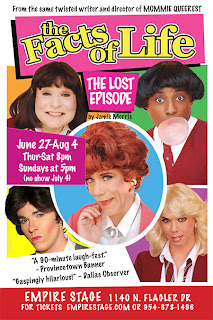 The Facts of Life: The Lost Episode plays at Empire Stage through August 4, 2013. Mondays are actually not dark this summer; Theatre League member theatres are hosting free readings of plays by playwrights who are League members. 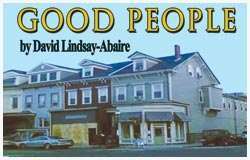 This coming Monday, Palm Beach Dramaworks offers up The Timmins Children by Mark Perlberg, while New Theatre presents Heavenly Hands, by Ricky J. Martinez. It might almost count as an additional day to New Theatre's Miami 1-Act festival, which officially closed yesterday. As you must know by now if you read The Scene, The South Florida Theatre League has built an entry for The Great Coconut Grove Bed Race, and this week you will find it at Actors' Playhouse for the final preview of Rated "P" for Parenthood on Thursday. We expect there will be photos taken. Anywho, here's your Monday reading list. Bring it with you to the Playhouse, read it in The Bed. Broadway World fills us in on Rated P for Parenthood opening Friday at The Miracle Theater. The Shiny Sheet interviews William Michals, who will be performing Don Quixote in the upcoming Palm Beach Dramaworks concert presentation of Man of La Mancha this week. BroadwayWorld reports that a Maltz Jupiter Theatre student has been selected to cover several of the girls' roles in the Broadway revival of Annie. Jupiter resident Skye Alyssa Friedman, 11, has been cast as a standby in the Broadway revival of the beloved show. Skye, who is a sixth grade home-schooled student, will travel to New York City in July to begin rehearsals and spend the next six months performing in the show. She will cover four roles in the show. She's in good company; in 1996, a young Ryan Hopkins was cast to play Louis Leonowens in the Broadway revival of the King and I. He had performed in a few Jupiter Theatre musicals during the Richard Akins years; Mame, The Secret Garden, and The Music Man. Donna Murphy, who performed at the Burt Reynolds Jupiter Theater in 1989 in the lost musical Dangerous Music, played the leading role of Anna Leonowens, opposite Lou Diamond Phillips as the King. The Examiner reports that South Florida can count excellent plays and musicals along with sunlit beaches and gin-clear ocean. Which reminds us, we need to clean up our Theatres list. miamiartzine asked Clay Cartland 28 questions about himself. 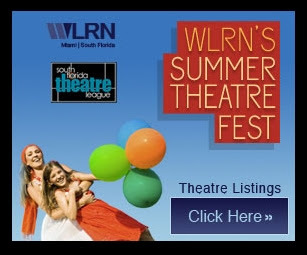 July rolls in, and the summer rolls along, and so does Summer Theatre Fest, sponsored by WLRN and The South Florida Theatre League. And what better way to celebrate than with FREE theatre tickets. The South Florida Theatre League has built an entry for The Great Coconut Grove Bed Race. Monday, Theatre League member theatres will be hosting free readings of plays by playwrights who are League members. This coming Monday, Palm Beach Dramaworks offers up The Timmins Children by Mark Perlberg, while New Theatre presents Heavenly Hands, by Ricky J. Martinez. New Theatre offers its Miami 1-Acts Festival. Apparently they're serving beer and sangria before the show, part of a happy hour that starts one hour prior to curtain. Red plays at Miami Theatre Center a limited run through July 13. FIU offers Bachelorette as part of its Alternative Theatre Festival, through Saturday. Sol Children's Theatre Troupe offers Disney's The Little Mermaid this weekend. It's a Not So Dark Monday, since Parade Productions is staging a reading of The Gift at The Studio Theater in Mizner Park, while The Red Barn Theater in Key West is reading Moment of Grace. Parade Productions will present a premiere reading of award-winning South Florida playwright/director Michael Leeds' new work, The Gift. The reading will take place on July 1st at 7:30 p.m., at the Mizner Park Cultural Arts Center's Studio Theatre in Boca Raton and will feature actors Clay Cartland and Lindsey Forgey. In a One Night Only event, MOMENT OF GRACE, the new play by Key West’s Bob Bowersox (author, producer, and director of last fall’s hit play at the Red Barn, PERSON OF INTEREST), will be read by 8 of Key West’s top actors. It's all a part of Summer Theatre Fest, sponsored by the South Florida Theater League and WLRN. As you should know by now, the Theatre League has built an entry for The Great Coconut Grove Bed Race, and has been showing it off all over South Florida. It's next appearance is July 4th, in the Key Biscayne July 4th Parade. And you still have just under a week to try for free theatre tickets. Speaking of Monday performances Ground Up and Rising has re-appeared, and it's doing Danny And The Deep Blue Sea tonight and tomorrow at O Cinema. miamiartzine made it out last week. Learning to Watch The Minnesota Playlist shares the story of a parent introducing their child to theatre. The Stranger brings us the story of a Seattle photographer who got tired of all the crappy promo shots. The Miami Herald fill us in on the story that inspired RED, currently playing at Miami Theatre Center. The January 1964 Look magazine centerfold is iconic: Norman Rockwell’s painting depicts a small African-American girl, wearing a white dress and walking resolutely, flanked by four U.S. marshals, all caught mid-stride against a tomato-splattered wall upon which “K.K.K.” and a racial epithet are scrawled. Red plays at Miami Theatre Center through July 13. The Shiny Sheet reports that Palm Beach Dramaworks will be peforming Company as well as Man of La Mancha in its concert series. ...the Coconut Grove Grapevine reports that the city has slapped a coat of paint on The Coconut Grove Playhouse. There are photos showing the workers replacing the rotten plywood that's been covering the braces that are holding up the south end of the building. .